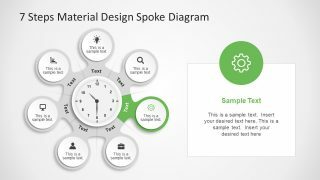 The 7 Steps Material Design Spoke Diagram PowerPoint Template to show the features with one central element. 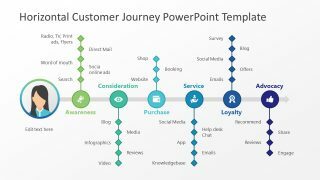 This 7-step diagram is ideal for brainstorming presentation of departmental meeting like marketing, development and more. Such as, listing the creative features of product or identifying the possible risks to the quality. Also, presenters can use this template for sales and marketing purposes. For example, take input of innovative ideas from audience or display a 7-step process to achieve project objectives. 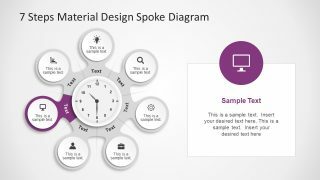 This spoke circular diagram of PowerPoint is an interactive design of flat vector diagram. 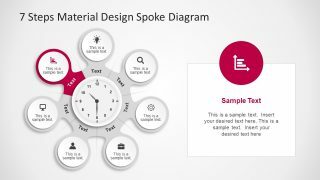 The unique center contains a clipart PowerPoint clock shape. This clock along with the other objectives are fully customizable shapes of PowerPoint. 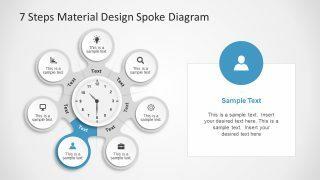 The amazing 7 Steps Material Design Spoke Diagram PowerPoint Template has 8 incredible slide of cool infographic segments. 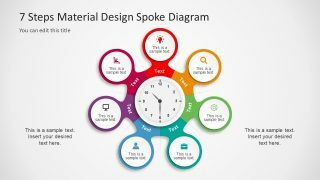 These infographics represent each stage of the circular spoke PowerPoint diagram. These icons include, light bulb, magnifying glass, gear, briefcase, user, computer screen and bar graph. 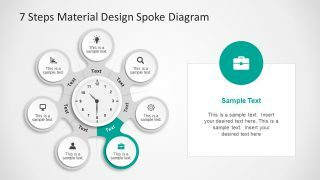 The seven slides are helpful in presenting each step of the material design spoke diagram with more focus. 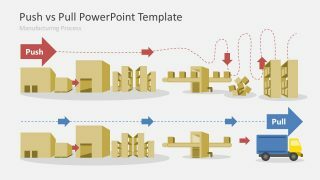 The PowerPoint template of 7 step diagram helps showcase creative ideas in an organize manner. Further, the placeholders enable users to elaborate these ideas by adding textual content. 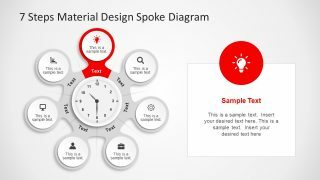 The remarkable diagram of business cycle material design spoke has an editable clock in the center of 7 steps template. With this, users can rotate the clock hands and adjust the time on every slide. Also, change the color for each step from shape fill if require. 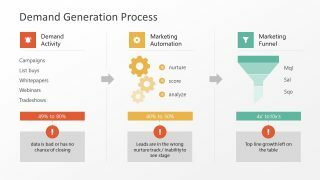 Further customizations include, resizing and repositioning diagram. 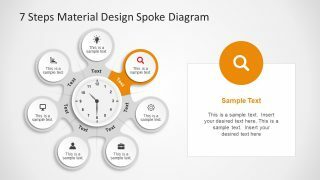 Moreover, personalize the PowerPoint template of spoke diagram using the shape effects like gradients, 3D and shadow. This presentation diagram can also depict the use of sticky notes during planning phase. 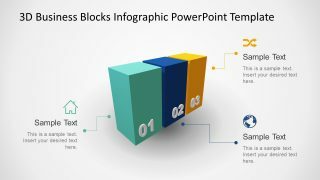 Hence, the presenters can create an impressive educational or business PowerPoint for their audience.